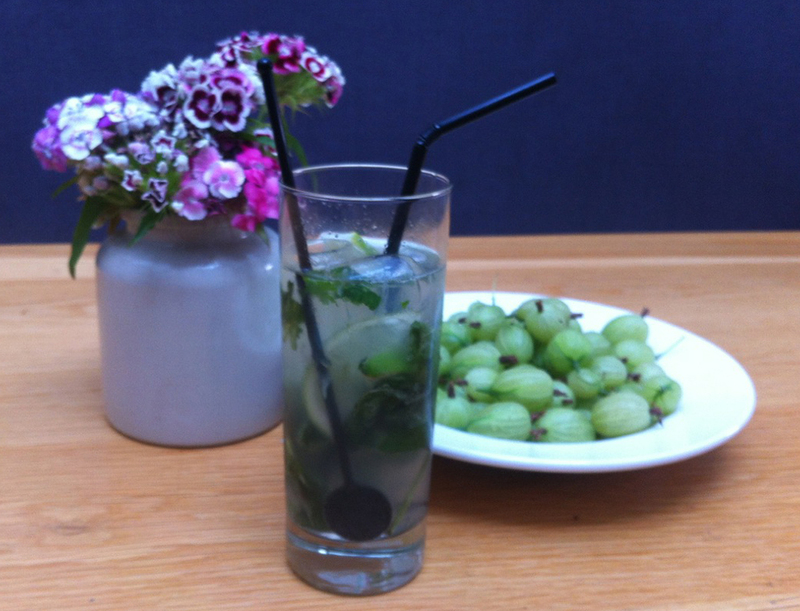 Local restaurant The Mistley Thorn created this refreshing gooseberry and mint cordial with our gooseberries. It’s a lovely balance of sweet and tart, and the first time we’ve tried gooseberries in a drink. Try it mixed with rum as a mojito cocktail. The Mistley Thorn uses seasonal, local produce such as our fruit. They’ve partnered with us to bring you recipe ideas using our fruit, and gooseberries were a hands-down favourite. Put the gooseberries into a large saucepan with the sugar and water. Scrunch the mint in your hands to release the flavour and add to the saucepan. Put over a medium heat and bring to the boil. Turn down and simmer for about 10 minutes or until the gooseberries are tender. This depends on their size. Leave to cool and then cover and chill for a day in the fridge. Store in the fridge, using within about three weeks. The cordial is great served as a non-alcoholic long drink – just mix one part cordial with four parts sparkling or still water. Add ice and serve. Mix all the ingredients together in a tall glass, full of ice. Top up with soda water and serve.